The long overdue rains arrived in August. 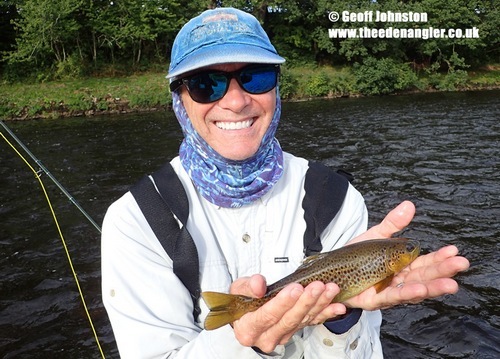 River levels fluctuated during the second half of the month and we had some great fishing! 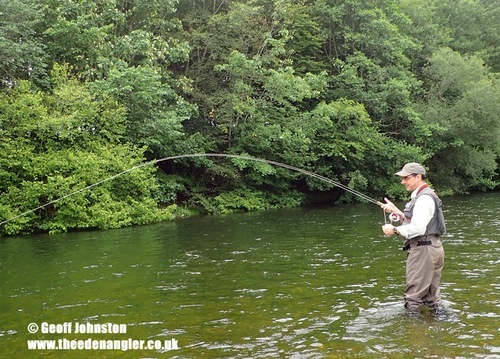 The water temperature was slow to drop, but the fresh water and tinge of colour certainly woke the fish up. They still had their moments when they refused to ‘play ball’ but, on the whole, they responded positively to most of our offerings – nymphs, spiders and dries. The first decent flush of water came after heavy rain on the 15th and the river rose approximately 1.4 metres that evening. Two days later it was still carrying colour, but dropping back nicely for Tony and Sandy’s first visit to the area. The fish were slow to adjust to the changes, but both managed a fair amount of action on their day. A session on the dries before being washed off! More rain on the 18th brought the river up again. The river was high, dirty and unfishable by mid-afternoon the following day. I was washed off, but not before I managed a very positive session. 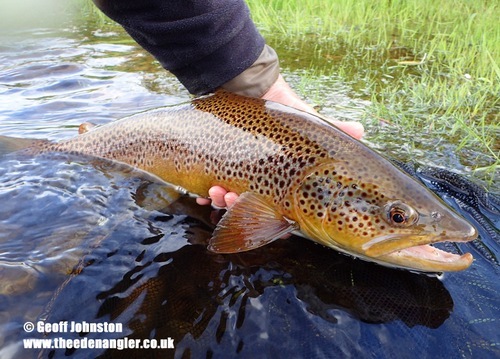 I was lucky to find fish sipping midge on the flats and they responded very well to my offerings before the water got too dirty and they switched off…. The rivers were back to a good level for Chris. The remit was to explore different waters and look at different techniques for different situations, so we opted to split the day and fish two rivers. Alternating techniques ensured that Chris had action at both venues. My fishing has been severely curtailed during one of our hottest and driest summers on record, so I was determined to take advantage of the extra water. When I wasn’t guiding, I was fishing! 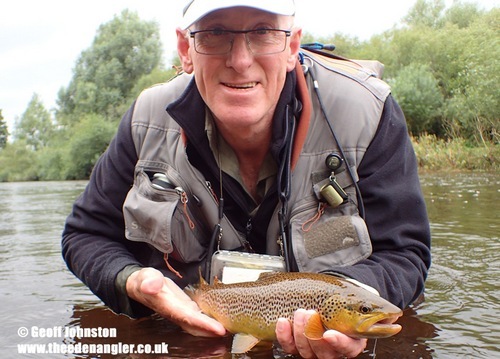 The levels continued to fluctuate, the river remained coloured – but it was good colour – and the fish, like me, took advantage of the conditions and they seemed to be feeding hard. 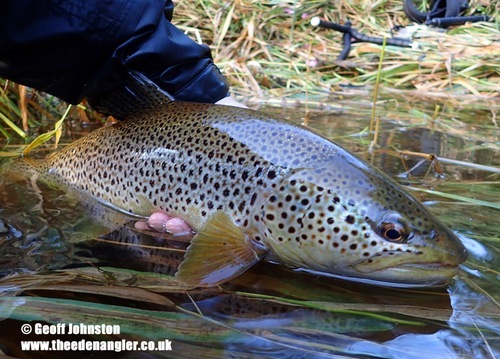 I had some very productive sessions with a few superb trout falling to my offerings. Fish midged the flats, fed on falls of Fever flies and, when they weren’t rising, responded positively to sub-surface offerings. Peter joined me for his first taste of fly fishing. We looked at the gear, casting etc. and then fished. 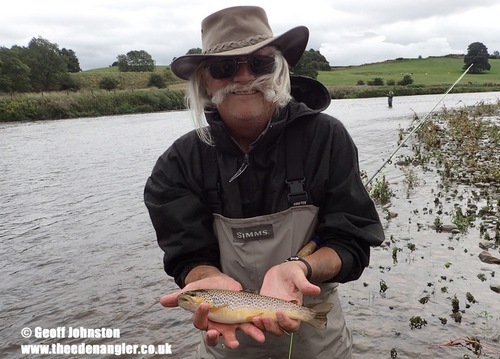 The larger fish were not out to play, but Peter managed to have a very positive debut, with a number of smaller fish falling to his flies. I later heard from him to say that he’d been to our local shop, John Norris, to get kitted up. So hopefully he’ll have many years of enjoyment from our great sport! My final client of August was Robert. It was great to see him again! The last time we met was in 2014. 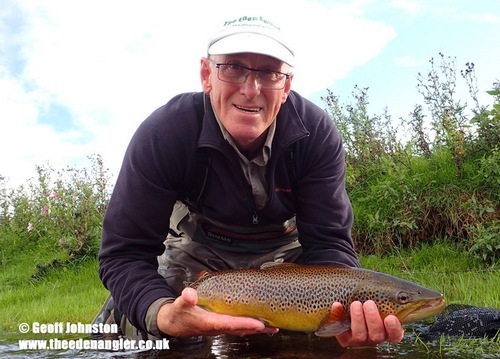 On that occasion Robert had what I often describe to clients as one of our ‘red letter days’ The fish fed hard throughout the session and Robert finished the day with a very high number of fish. On this occasion they didn’t feed quite so hard, but Robert worked hard. 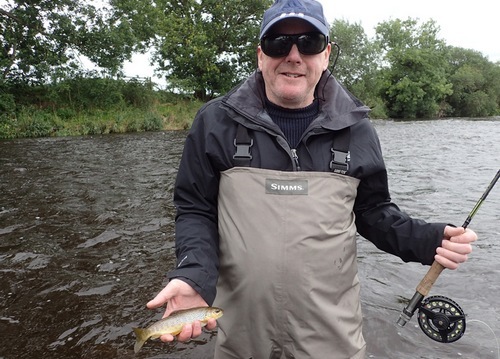 We varied techniques throughout the session and he got a fair bit of action, with fish caught, lost and landed. Albeit nowhere near as much as on his first Eden experience. But, the conditions were completely different and, I guess, that’s fishing! There’s no guarantees….